Simplify pain treatment and injury prevention. We dream of a healthier society by democratizing treatment for pain and injury prevention - regardless of physical literacy. Our content is accessible to anyone, anywhere, anytime. Instead of going to a clinic for a multi-week rehab program that costs up to $1000 per program, per injury, Phyxable brings world-class guided content to any accessible digital device through a gamified experience. We are a diverse team of doctors, engineers, and designers coming together to solve a global problem. James is an entrepreneur by DNA. After 3 exits,10+ years of running successful clinics, and building physical rehab programs, he is devoted to catalyzing change in the industry through technology. 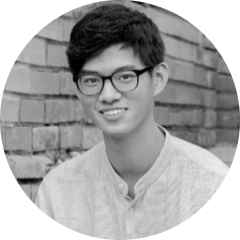 Leon has a background in UX, behavioural psychology, and product strategy. Passionate about solving complex problems through human-centred design, he strives to bring the most desirable, feasible, and viable physio-tech product to market. With 14 years of experience in full stack programming, Felipe is passionate about bringing joy and delight into people’s lives through innovative technology. Nancy is a product designer whose work has touched millions of users. Her previous projects include brands like Samsung and Holt Renfrew. In addition to UX, she also has experience in front-end dev and animation. Jacob Jones is a web developer with a passion for design. His first love was C# and game design, and now he applies the rigor and patterns found in that field to the sites and apps he develops for the web. Komal recently graduated from McMaster with an HBSc specializing in Psychology, Neuroscience, and Behaviour. Her skills include creative problem-solving, deriving meaning from data, and story-telling. Nick has a real passion for good typography, clean design and above all, a well thought-out strategy that resonates with users. At Phyxable, he executes tremendous ideas through visual storytelling. Nandini has a background in electrical engineering and power systems. Passionate about writing, she aims to create meaningful content for various industry verticals that ultimately helps harmonize the customer-vendor bond and impacts audiences positively. Sasan studied Psychology at York University and has a particular interest in digital marketing. He uses his creative skills to produce and promote Phyxable’s digital content on social media.